Since the very first iPad, Apple has always set the same target for battery life: ten hours of video streaming over Wi-Fi on a single charge. However, for the batteries to reach this running time, they have to be adjusted again and again. It's a bit like a car that's always supposed to cover 500 kilometres with one tank of fuel, but is loaded to varying degrees, has to pull a trailer or suddenly gets a more powerful engine. To ensure that 500 kilometres are always covered in the end, the size of the fuel tank has to be adjusted. This is no different with a device like the Apple iPad. The Apple tablet already achieved the desired battery life in 2010, but still doesn't achieve much more today, and with a stronger battery. 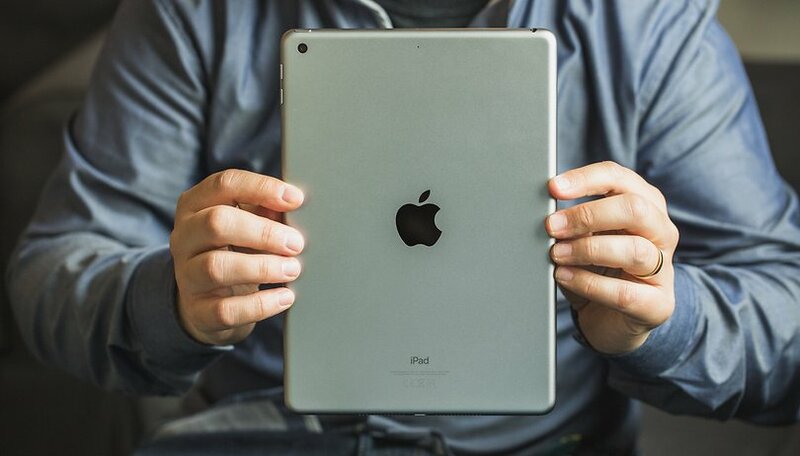 Higher resolution displays, mobile radio modems and much faster processors ensure that the iPad battery must become bigger so that the battery life can remain the same. The iPad Mini, for which Apple is pursuing the same goal, is a good example of this. The battery of the first iPad Mini had a 16.5 watt hours capacity and had to power a display with 1,024 x 768 resolution. With the jump to a higher resolution of 2,048 x 1,536 pixels, Apple installed a battery that is much more powerful with a capacity of 19.32 watt hours. Stronger doesn't always mean heavier, because there's constant progress in battery technology and processors as well. For example, the battery in the first iPad Mini weighed 94 grams, while the much stronger one in the later versions weighs only 5 grams more. iPads still outperform all Android tablets. With the iPad Air, Apple even managed to achieve the desired battery life with a weaker battery. In 2013, it still had to be 32.9 watt hours of power and 165 grams of weight, while 30.8 watt hours and 147 grams were enough for the iPad Air 3. What do you think about Apple products' battery life? Let us know in the comments below. Android.... iOS..... Then Android..... iOS. .... it's like Roses and Apples....... one pricks and the other rots, that uncertain choice between the sweet smell and the sweet taste, one or both of which you cannot forgo and they both never replenish - neither the absolute necessity nor the desire.